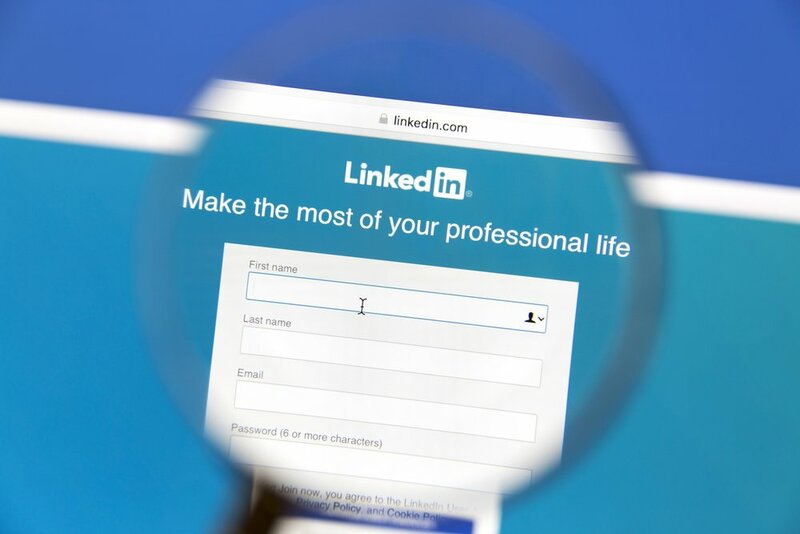 With so many social media platforms, why do you need a LinkedIn profile? It can be difficult to determine which social platforms your business should embrace. But, when it comes to social networks, there are two sites you can guarantee will benefit your business. One site is Facebook, and the other is LinkedIn. You probably already know your business needs to be on Facebook (it’s the largest social platform in the world). Now, let’s look at why you also need a LinkedIn profile for you and your company. As they say, “It’s not about what you know; it’s about who you know.” And, with a strong LinkedIn profile, you can grow and develop a valuable asset of connections. With 500 million users, LinkedIn may seem like an overwhelming space to make connections. But you don’t have to wade through millions of profiles to find the people who can help and support your business. You can simply use LinkedIn Groups. With LinkedIn Groups, you can join or start a group that is designed to attract people in your industry or other like-minded individuals. Using groups is a smart social media marketing strategy that allows you to filter LinkedIn users, share resources, get industry insights, ask questions, and meet potential partners. It’s not just your business that needs online visibility and authority. Your company can also benefit from having individuals in your organization build their personal brand and stand out online. An active LinkedIn profile can help them do that. High-level executives, salespeople, and thought leaders in your company can use LinkedIn to build valuable connections and show off their expertise in your industry. This additional visibility gives you even more opportunities to connect with prospects as your team can market your business as much as your company profile page can. If your company produces and publishes content, a LinkedIn profile gives you opportunities to leverage the media you create. Through the Articles section on LinkedIn, you can post blog content, videos, and graphics from your profile. This posting method gives you a chance to share industry insights and show off your knowledge and expertise to your LinkedIn connections. LinkedIn articles also welcome republished content so you can publish the original on your website and then again on LinkedIn (as long as you follow best practices for republishing content). When you, your business, and your team members have complete LinkedIn profiles that use keywords related to your industry, people can more easily find your company through LinkedIn search. LinkedIn users can search for keywords or topics and see a list of individuals and businesses that match their search criteria. Searchers can also find your LinkedIn profile when using regular search engines. LinkedIn profiles have strong SEO rankings so they support search optimization strategies. You can rank for your organization name as well as the names of people who work in your company. Outside of LinkedIn’s general networking and search functions, they also offer LinkedIn ProFinder. Through ProFinder, service providers can apply to be a “professional” for select services. LinkedIn users can then use the ProFinder search feature to look for professionals and request proposals for the services they need. This connection tool is a great way for professionals with expertise to connect with customers who need them. LinkedIn is a great platform for making connections and generating leads, but it shouldn’t be the only strategy you use to fill your pipeline. To get more tips and ideas on how to draw prospects into your funnels and convert them into paying customers, get our free Digital Marketing Essentials ebook.